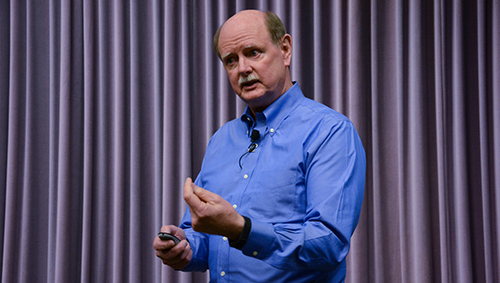 A few weeks ago, I listened to a brilliant talk by Professor Rick Miller, President of Olin College. He was talking at a conference on ‘New Approaches to Higher Education’. He tolds us that the most common job description for recent Olin graduates was ‘user experience designer’ rather than a particular branch of engineering. Aren’t all engineers, user experience designers? We design, manufacture and maintain structures, machines, goods and services for society. Whatever an engineer’s role in supplying society with the engineered environment around us, the ultimate deliverable is a user experience in the modern vernacular. Rick Miller’s point was that society is changing faster than our education system. He highlighted that the relevance of the knowledge economy had been destroyed by internet search engines. There is no longer much advantage to be gained by having an enormous store of knowledge in your head, because much more is available on-demand via search engines, whose recall is faster than mine. What matters is not what you know but what you can do with the knowledge. And in the future, it will be all about what you can conceive or create with knowledge. So, knowledge-intensive education should become a thing of the past and instead we need to focus on creative thinking and produce problem-solvers capable of dealing with complexity and uncertainty. This entry was posted in education, leadership, Soapbox and tagged brain, creativity, education, Engineering, innovation, knowledge economy, leadership, Olin College, Rick Miller on July 5, 2017 by Eann Patterson.